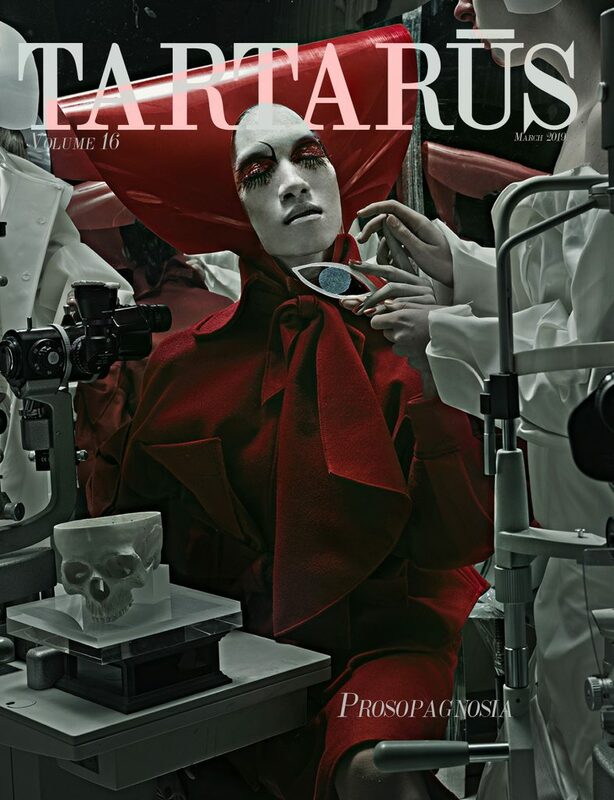 TARTARUS MAGAZINE VOLUME 16 available NOW! Dear friends,While working on Tartarus Volume 16: Prosopagnosia I started thinking about different ways of visualization of Prosopagnosia, of course the first thing that came to mind are twins. People that share a face yet others are unable to recognize them. Looking into the faces of twins or people that share similar features are the driving force behind this book. I wanted to create a synthetic experience of facial blindness. I don’t want the viewer to see faces, I want to show a feeling that the photographs on the upcoming pages will steer in you. Welcome to the issue.